The days began to whir by now. Months passed with little change in Finch’s schedule. The only thing that broke into his joyous days at the castle were the weekends. Finch had been keeping up with Artus most of the time. They didn’t always play territory fight, and they didn’t always play in the field either. Finch had thought playing outside the castle walls was bad, but it seemed that Hallin, the third Riley kid, had discovered another place. Finch had thought for sure that the guard would get angry at them if they played here. That’s actually why he hadn’t made a fuss when Hallin had suggested it; he hoped that he might encounter Natasha. It was only afterwards that Finch remembered Natasha was part of the castle guard, and not the city guard. “What? Where? There are no good places to play that, that’s the whole reason we almost never bother.” Artus replied. “Yeah, well, the new district.” Hallin said proudly. “Let’s do it.” Finch said. Jutt looked apprehensive, but she wasn’t about to spoil their fun. So they went to the abandoned district. All the doors were locked, but this place was big. You could hide actively, dodging in and out of cover or running around corners to stay hidden. Finch enjoyed this game a lot more than territory fight. It seemed that as a Riley, his dark features, lightfootedness, and good ears gave him an advantage. It was usually him, Jutt, and some other kid left at the end of most games. “Yeah, well, I think I’ve thought up a better game to play here. We’ll be back for sure.” Artus said, and the group split. Again, Jutt stayed behind for a bit. On the second day of the new week, it was back to classes again. Finch sat in Chloe’s library, using her little reading desk. It was a bit awkward at times, because it was tilted at an angle, but he managed with little issue. Chloe looked at Finch, who was struggling to keep his pencil on the lip of the reading table. “What?” Finch asked, more curious than confused. Chloe wrote ἀλλήλ on the board she had hung on one of her shelves. By now, Finch was getting very familiar with the language of scholars, Methusa, and Chloe had been using it freely in his lessons. She had instructed him to ask any questions he had, should one of the words confuse him. So far he had asked none, but she had also only given single words. “Okay.” Finch had no idea what an inkboard was, but he didn’t want to stray from alleles, so he decided to wait until he actually saw it to ask questions. “Sure,” Finch jotted down a short note. Chloe gave him a questioning look. Then he shrugged. Finch had never known his mother, so what was there to care about? Chloe didn’t say that she wasn’t surprised. She didn’t mention that this was unusually common in Riley families, especially those with less Solune blood. Chloe knew that in the ancient Riley communities, monogamy and even polygamy was unheard of. Instead, all members were freely promiscuous, and all children were raised communally by the village. Now that all Riley had between five to fifty percent Solune blood, such habits had become more and more unusual. There was no longer a social structure to support such abandoned children. She realized now why the Riley town of FACE had such a large orphanage, and why few seemed to be concerned about it. “What?” Finch had never heard of this plant before. “How can a tree be a fast growing subject?” Finch was confused. Finch was copying her words down furiously. Chloe wrote the word on the board too, φαινότυπο. “It’s the physical trait that we can actually observe. It’s break time now though, I’ll explain phenotypes and genotypes when we return. Would you like some tea today?” Chloe asked. “Sure…” Finch was still trying to figure out all this biology stuff out. It was his hardest subject out of the three, and so they had to spend more time on it. Finch didn’t really like memorizing things; he preferred to figure them out instead. That’s why he preferred physics and chemistry. They had tea, and then the lesson continued as normal. Finch’s life continued as normal, accelerating back to full pace. Ellie Goulding used to be one of my two “current” artists. (For those who don’t know, I generally only get really into two bands or artists at once. It used to be Ellie Goulding and Rise Against in my mid teenage years.) That’s because Ellie used to be a good artist. Actually, she might still be a good artist, but she seems to want to hide her talent. What do I mean? Well, consider her new album, appropriately named Delirium. It sold about one-quarter what her previous album, Halcyon did in its first year. I’m going to tell you why, so don’t worry. See, Ellie decided to take a different route with her music this time. She decided to let her writers do more of the work. I can’t seem to find the quote, and it’s been removed from Wikipedia. But this is the problem with the album. It’s only a fraction of Ellie Goulding. It feels about as shallow as a Calvin Harris album, really. Having writers isn’t a bad thing. The number one artist of all time had writers too. Michael Jackson really only came up with beats, chorus, hooks, and a lot of the verses. Yeah, he did a lot of the work, and the writers just built on it. I think Ellie Goulding used to be the same way, she had writers for her first two albums and things were fine. So, let’s dive right in to Delirium. Delirium is a long album, sixteen tracks, and then more if you get the Deluxe version. I’ve listened to it all, many times. I actually liked this album a lot for about a month. Then, I put it down, and never returned to it. That’s a clean 5/21. I’ll give her some runner-ups for good measure, Keep On Dancin’, Around U, We Can’t Move to This, Holding On For Life, I Do What I Love, and Outside, even though it’s not new to this album and is really Calvin Harris’s song. So, 11/21. 52%. The thing is, Goulding could have cut the fat, axed the ten or so weak entries and left with a strong eleven song album. But instead, we get a lot of bloat that sounds like everything else we’ve been listening out of the top 40 for the last half decade. Let’s start at the beginning with Delirium into Aftertaste. I think starting an album with a cool intro track is awesome. 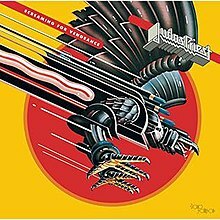 Judas Priest’s Screaming for Vengeance did it, Icon for Hire’s Scripted did it, and so did Halford’s Crucible. Actually, I’ve never seen a non-rock album with a short intro track, so props to Ellie. It’s actually great for the album listener like myself. If I’m feeling it, I can let it play, but if I just want to get to the music, I can skip forward to Aftertaste. Aftertaste is a great song actually comparing a break up to an after taste. Something in the Way You Move was actually a single, and it keeps with Ellie’s habit of writing positive sounding songs that are both not at all positive in nature, and also a bit cryptic. Lost and Found follows up too, sounding almost like a song right out of her first album, just a little tune up. Paradise is a very calm and mature sounding song, that also contains a lot of strife. In fact, give me a second. Ten. Ten of her songs are about break ups. That’s probably why I got so bored with it, she just sings about the same thing over and over! The Greatest and Army are basically the same song! But before I dive into the bad, we’ll talk about Devotion. Again, Ellie does what she proves she’s good at with Lights. She combines folk and electronic, opening with an acoustic intro. Devotion is a mystical, light and engrossing song. It seems to have been written in the same vein as Beating Heart, my favourite Ellie Goulding song. This album is almost worth buying just for this track. Almost. 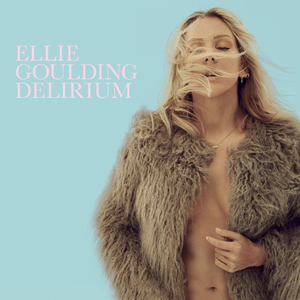 I now will explain exactly why Delirium is the only Ellie Goulding album I don’t own. Plain and simple, Delirium is shallow. There’s no heart in it, aside from three or four tracks. It’s a little better than the empty albums that Calvin Harris pumps out, but it still feels very surface level. Not once does Ellie touch on an interesting or unique topic. Consider the unique track, The Writer, or even Human from Bright Lights. Or even the brooding and wrathful Don’t Say a Word from Halcyon. I hadn’t heard anything like it before! But more on those after. Delirium is like most cheap pop. It’s front loaded, you get the initial thrill but then are quickly left bored, and maybe a little regretful. Or, in my case, disappointed. With Delirium, Ellie Goulding intentionally went for a pure pop album complete with writers, and sold her soul to capitalism. See, that’s really what bugs me about Ellie. She’s always been a little bit vain. I hope that the hundreds of thousands of lost sales is a wake-up call, because I used to like her music. Why don’t we explore her previous albums for a bit? I first encountered Ellie Goulding in a Battlefield 3 YouTube video by Birgirpall. I can’t find it anymore, but the song itself was a Drum and Bass remix of Starry Eyed. I loved it. I found it, ripped it and listened to it over and over on my Walkman mp3 player. Then, I delved deeper into the artist, this Ellie Goulding. It wasn’t long before I owned Lights, but I had already listened to all of her songs. Where were the rest of them? So, I had to return to the CD store and pick up Bright Lights too. During this time, Ellie was trying to play herself off as some generic folk or indie pop artist. Really, she’s neither. I’m sure it was some sort of producer thing. This album is very consistent. There were very few songs that I didn’t like, but also very few that I really loved. Of course I loved my first encounter’s original version, Starry Eyed, but there were more too. In fact, Starry Eyed wasn’t even my favourite track. Here’s a list of the cream of the crop from Bright Lights. Can you guess which song is from which album? The first is I’ll Hold My Breath from Lights, and the second, Something in the Way You Move from Delirium. Both definitely read like Ellie Goulding, but one actually feels like a work of art. As you can see, the list of good tracks is far longer than Delirium. Better yet, there were only a couple that I actually disliked! I got bored of Guns and Horses and the Writer and I Wish I Stayed were a little too wispy for me. That leaves 14/17. That’s 82% of the album that was great! Is that a real article of clothing under her coat? What is it called? Now, Ellie Goulding has hit her teenage angst phase. At the age of twenty-five. She’s dressing in leather and showing off her body! Oh my! No longer is Ellie playing the innocent folk girl, but it seems she’s pushed a little too far the other way. Looks aside, the album is also pretty edgy. It’s a dark and moody album, and it seems that Goulding has dug really deep into herself. Many of the tracks are striking and personal. I actually feel cold listening to it. From the original version, I really only liked the opening track, but I also didn’t mind My Blood, Halcyon, Figure 8, and Atlantis. The real fun begins with the Deluxe album. Halcyon Days must have been made little while later. The music all fits, but it feels like it’s coming from a different, more positive place. If you’re going to get Halcyon, get the deluxe Halcyon Days. Here’s what I liked! Quite a good collection, only two of which are on the original. So, 14/23, or 61%. Hmm. Well, I do admit that this album wasn’t really my cup of tea, although these numbers do bode poorly for the next album. I’m sure other’s liked more than two of the original tracks. Watch, let’s cut out the originals out of the calculation, including the two I enjoyed. Also, note that I cut the covers and alternate versions. 8/10, or 80%. See, that’s pretty good. It was these bonus tracks that excited me for her third album. The smash hits from disc all had a couple extra writers on them. I thought, hey! If her next album is like these three tracks, it’ll be amazing! I thought that these newer songs were like a preview of what was coming. And I was dead wrong. So, Ritual, In My City, and Without Your Love are three very different songs with two things in common. First, they are clearly Ellie’s work. Second, they sound amazing. In My City is wistful and dreamy, and the mystical drums in Without Your Love take me to a whole other place. I promised to get to Don’t Say a Word, and so here we go. The song is still my definitive new sound system bass test, alongside Between the Hammer and the Anvil. If I can’t feel the rolling base, or hear the depth of it all, it’s not good enough! Don’t Say a Word does one of my favourite things. It has a slow brooding intro that rewards the patient listener with a thunderous, layered climax. It took me a few listens to realize just how many layers this piece has! Check it out if you haven’t. Finally, three of these songs, You My Everything, Stay Awake, and Flashlight, are clearly Drum and Bass. Ellie has an amazing voice for DnB and other electronic music. I mean, just listen to Outside by Calvin Harris, or even better Fall into the Sky by Zedd! Honestly, I think her next album should be a little more electronic. Take some tips from Zedd haha. It seems that Ellie Goulding has been steadily dropping in quality. Also, she appears to have abandoned shirts, so she might still be in the teenager stage. Now, that’s just a measure of how much of the album’s tracks were really good. Personally, I think that despite disliking a majority of Halcyon, it was her best album. It felt like we had a clear window into Ellie Goudling and her emotions, whereas with Lights it was sort of an act, and Delirium, it was sort of not really Ellie Goulding. I hope you enjoyed this, we’ll have to do it again some time. Looks like she went on a writing and dating hiatus. Most artists love their art and tend to avoid breaks. Not sure what to think of her nowadays, really. Also, expect a lot more music content on the blog. Music is my primary source of literary inspiration, it’s about time it made it to my blog. What I am about to reveal may shock you. 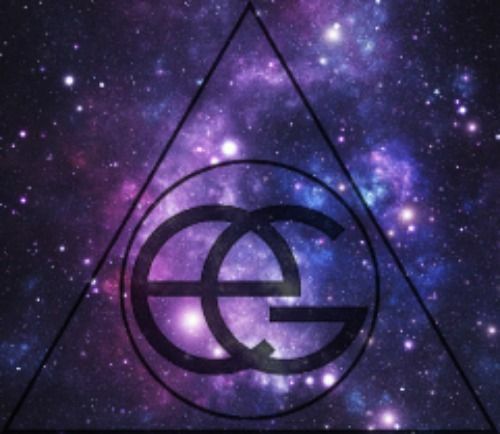 Ellie Goulding is also a proud member of the Illuminati. In fact, I’ve gotten inside information from the Quibbler that the Illuminati aren’t too happy with how much she talks about triangles. This opening line is clearly talking about the “one language, one currency” New World Order! Appalling! But wait, there’s more. Patterns in her background? Surely her parents were Illuminati too. They believe that they are the pillars keeping the country on form. Maybe they are and we are none the wiser? Do I even have to explain this? Ellie Goulding also covered a song called Tessallatem further proving her love for the enigmatic triangles. What do you think? Is Ellie Goulding part of the Illuminati? Perhaps the Masons? Or maybe you just think she’s just obsessed with three sided shapes? Chloe looked around at the shelves that surrounded her. She seemed to be thinking. For the first time, Finch noticed the thick metal band around her neck. It was made of gold-coloured brass, and he knew it to be the royal crown worn by princes. He knew by her name, Rhye, that Chloe was a member of the royal family, but for whatever reason he hadn’t really taken it in until now. Chloe watched Finch patiently as he turned his thoughts to Chloe’s statement. She was qualified. This was important, as his father was desperately looking for a new teacher, and they were cutting it very close. “Ah, don’t you know about my family? Have you not heard about the King?” She asked. At this the fair skin of her face turned a slight shade of red. Chloe’s skin faded back to normal. Chloe laughed, it was a light but strong sound. Finch thought it to be a much more beautiful vocalization than the “ah” sounds she had the habit of making. Finch counted on his fingers. That made one Solune coin per day, not including weekends, which was about a third what most charged. Either way, this was clearly a very affordable option. In fact, her price seemed far too low. Chloe continued to smile at him. “Yeah… Natural Studies.” He replied. Finch considered this for a very long time. “And you think that I-” Finch was cut off. Finch didn’t know how to feel about this, so he just frowned instead. They headed up the hazardous stairs, Finch leading the way. “So I can catch you if you fall,” Chloe told him. Finch had replied asking if he would just knock her down with him. Chloe promptly headed out the open doors when they had reached the top floor. The two walked into town, with Chloe strutting nobly ahead of Finch. That was, until she realized she didn’t know where she was going. “Ah, where do you live dear?” She said. And so Finch took the lead, and Chloe adjusted her step to more of a stride to better suit her new situation. It wasn’t long before they arrived at Finch’s door. He broke out in a sweat, and it felt as though his primary heart was getting stuck on suddenly thickened blood. “Err, I’m not so sure,” Finch started. But Chloe had reached right over him, being exceptionally tall, and knocked on the door. A few moments later, Ilias answered with a chisel in his hands. Finch was not surprised that his father had assumed something bad. That was a tendency of his, Ilias was not an optimist; rather he had become very defensive. But Ilias didn’t question it. He was highly intelligent, like his son. In mere moments, he realized a prince would have little use for money. He also noted that he would be able to work full time now, meaning the cost would be further lowered. Additionally, he would finally be off of public assistance. “I accept.” He stated squarely. “Alright. Shall we draft a contract?” Chloe offered. So Ilias and Chloe sat down at the marked and battered kitchen table. Ilias cleared his war games off easily, simply lifting up the terrain map and pouring all the pieces into a box. Chloe, for whatever reason, had reeds paper and a fountain pen on her person. And so they began. Finch realized that this wasn’t going to be a particularly short process, so he sat down with them and tried to comprehend what was going on. After about an hour of fervent conversation between his father and Ms. Rhye, she stood. He signed the contract he and Chloe had just finished drafting. Finch nodded, and ran to his room to stuff his bag. When his eyes reached the Jurassic Park novel, he stared at it for a moment, and then looked out the window. Finch and Chloe took the short walk down to the Kingdom Hall of Poetry and Law, one of the seven circular towers that made up the Kingdom Halls. The contract was subjected to a couple minor changes. “Would you like this re-drafted in the language of scholars, Methus?” The poet had asked. And so they left, and Finch readied himself for his first day of classes. And so, Finch, who entered the castle not too long ago looking for one prince, had instead found another. Baracus was not a town with many children in it. Despite FACE being the hidden village of bandits and thieves, Baracus was still considered the Rogue Town of the Kingdom. People tended to avoid having children in Baracus, and instead leaving when it was time to have a family. Others still entered when they needed to buy thing such as tools, specialized parts, or even contractors. It was a very dusty place; it could almost be called it shabby if the buildings had not been so sturdy and well-constructed. That was Baracus’s primary export, skilled labour and craftsmanship. Baracus was a rough town, the kind of place where merchants checked their customer’s coins carefully and were eternally suspicious of newcomers. Alice had arrived in Baracus after five days, and although she was sure she could have made it in half that time, she had not been in high spirits. Right now Alice was in a wood-built parlour called “The Keeper” that sold syrups by night, and bitter drinks by day. Alice was sipping on her favourite, a pale blue drink called a stipper. She was deep in thought, reminiscing back to those first few days out of Murdock. She had left ninety-eight days before, and she wondered if Finch too was keeping track. After Alice had split up with Finch for their allotted four years, she had headed west, toward the place which her mother had pointed. When she had first arrived in Baracus, she hadn’t stayed, simply marching determinedly past as if there had been no change of scenery. But, upon meeting the very friendly guards at the gate, she found that the kingdom was currently separate from the rest of the world. One could not freely enter and exit. The guard had explained that it had been this way for a thousand years. He said that she could exit, but she would not be able to return again. Alice sighed and turned around. Maybe one day in the future then, she would make this one way trip. She had been headed to the Plainkind Desert, interested in spending her four years in her homeland, maybe finding her father. These hopes were now dashed. When Alice had returned to Baracus, she had no money and no idea how to get any. Without Batshiva to feed her the occasional leg of mobile moose or entire robbit, Alice was rediscovering the feeling of hunger. It was a feeling that she had come to fear since her mother’s passing. Predictably, Alice had proven herself an easy friend. In her first ninety-eight days, Alice had not only befriended many adults, but had also been adopted. Her second father was a gruff, widowed construction foreman. Alice figured that she must have reminded him of his deceased son. “Nope!” And she jumped off the stool. Alice had a lot to do tomorrow. She couldn’t stay here all night. As much as she liked people, as a fourteen-year-old, Alice was a little wary of those who had become intoxicated on sugar and syrups. She ran out of the shop, yelling, “Thanks!” and then headed home. There, her second father, Jithin, greeted her. “Hello Alice, how was your free time today?” He asked. “Excellent! I’m ever so busying myself at all of the times in the day, since now I am being had some lessons!” She garbled excitedly. Jithin had quickly discovered that this girl had an unusual accent. He learned from an elderly woman named Oritha that the small girl was a Plainkind from the west, beyond the wall. The Plainkind, she explained, had unusual minds and had produced a language with very strange syntax and grammar. Jithin had not understood these last two words, but he knew well enough. It was actually this woman who had offered to give Alice lessons. Jithin had the suspicion that Oritha was right about working her as a member of his company, but she had become rather excited about the whole ordeal. It was almost by accident that Jithin had found himself giving the small girl more and more tasks at his job. She seemed to enjoy it, finding some form of purpose in it. Was it really his fault that she had taken on so much work when she had asked for it? Alice had built muscle with unusual speed, and he had the strangest feeling that her torso had broadened to adjust. She was now able to carry more beams than even him! “Alright little workhorse, head to your bed.” Jithin said. This was the sort of nickname that was bound to come up in Baracus, especially from a single parent who had no one else to tell him how poor of a choice it was. He thought it fitting, the horse being a mythical beast from the children’s books of the foolish hero Victimus. His colleagues seemed to find it fitting too, and so the name “little workhorse” stuck. Alice nodded, and then jumped up and down, an action she was much too old and heavy to be doing. The house shook. “Alright, goodnight. Do you mind if I… Actually never mind. I had better go to bed myself.” He said. Alice headed up the ladder to her room. It had been storage, and still half of it was filled with all form of possessions. But, Jithin had made enough room for a bed and a dresser, and that’s all that Alice seemed to really want or need. Like the rest of the house, this space was cramped. It was a strict upgrade for Alice, who had been used to living as a borderline homeless youth. She was grateful. Alice put an X on the grid she had made. It was a calendar, the first thing she had made after learning about numbers and timekeeping from Oritha. Alice had constructed this countdown calendar to cover four years divided up into: nine months per year, four weeks per month, and eight days per week. Alice crawled into bed. Her final thoughts turned to her old friend Finch. She thought of the 1438 days until she would be able to see him outside of a dream. It did not take her long to drift off to sleep. And finally, we see what Alice has been up to! Of course, Alice uses different nomenclature for her chapters. That is, two words, an adjective and a noun. The castle doors were wide open, as they had been yesterday. Finch entered, and he wondered if Chloe would actually be there. He had told her that he wasn’t available today, so she might be out doing something else. Finch figured he would find her in the library but when he got there, it was locked and no one answered his knocks. He sighed, and looked around, up and down the hall. It seemed that all the doors had small labels. This door had the words, “My Library,” etched into a rectangular plate made of a dark wood. The writing was very pretty, as if the woodworker that had carved it was also trained in calligraphy. Finch wasn’t an artist, but the dark wood seemed to go well with the stone and wood doors that lined the wall. Finch continued ahead to the next door. It read, “Chloe’s” followed by a star. It was also written in the same calligraphic style as the library’s tag. Finch knocked, and waited. Nothing. He then tried the handle. To his immense surprise, it turned, and with little effort the door swung open. Finch peered inside nervously. Chloe’s room was only a little larger than his own. Finch found this surprising. He expected a prince to have something much larger. The window was a little nicer than the one in the library. Instead of looking as if it was made from colourful pieces of broken glass glued together with metal, this one had a little more direction to it. It was an orange square inside a yellow one, all bordered in pink. A dim colourful glow emanated from the glass. Chloe’s bed was on the left, with a dresser at its foot, and on the right was a giant dark hardwood desk. It was a beautiful deep brown, and had two lamps on it. In fact, Finch noticed a lot of lamps. One near the bed, sharing a small bed stand with a pile of books, the ones on the desk, and even standing one in the corner to his left, next to a small mirror. It seemed that the oil in the ceiling lamp was gone, perhaps it had never been filled. Finch took a quick peek behind the door, where very predictably there stood a tall bookshelf. Finch, feeling quite like an invader by now, stepped back and closed the door. He moved on, wondering how Chloe hadn’t burned the place down with all those lamps. Natasha! He thought. That was the guard Captain he had been looking for the other day! Finch knocked, but predictably there was no answer. He continued, reading names. It seemed that only Chloe’s looked really nice. Next up was, “Kain,” and then, “Crystal Jealousy.” Finch thought that to be a really strange name. He turned the corner, having run out of rooms on the south wall. When he rounded, he saw that the first door on the east wall was ajar. The door read, “Janna.” From inside he could hear the voice of a woman. And then she sighed very loudly. Finch walked past the door, and glimpsed inside. He saw someone who reminded him of an older, more pointy Chloe. Her hair was shorter too, her face a little smaller. Around her legs and shoulders she wore a dark grey jumpsuit, similar to the light grey one that guards wore. She had it unzipped all the way down. She wasn’t wearing much underneath. Her torso was curtained by the unzipped suit so that, while she was very revealing, nothing was actually revealed. This woman also looked quite powerful. She had a compact set of abdominal muscles and, as he pulled his eyes away from her midriff finally, he saw that she also had very lean, stiff looking arms. A tanned, dark-haired man was with her too, leaning on the wall and looking away. This woman had the same deep brown eyes as Chloe too. The only reason Finch could tell was because they were looking at him. He had expected the woman to slam the door in his face, but instead she just smiled. It seemed that this woman was not ashamed of herself. “Hey, keep an eye on girls your own age kid.” She said, and then laughed at him. The man grunted along with her, but Finch just kept walking, his face becoming hot, which made her laugh even more as he walked out of sight. What a strange place this was. Was that woman Janna? Was she Chloe’s sister? In order to stop thinking of her, Finch went back to reading doors. But he couldn’t read it. It seemed to have a “Z” and a few other tall letters in it. The name had been entirely gouged out though, and it seemed to Finch that it hadn’t been done with real woodworking tools. He looked back at the slightly opened door he had just passed and wondered if it was Janna that had ruined this tag. Finch frowned. It looked like this family wasn’t all that big. He thought back, counting on his fingers. Chloe, Natasha, Kain, Crystal, Janna, and the mystery name. That was six, which was pretty large. Finch knew from his Natural Studies books that even two or three children was considered a large amount. It was very hard to have children, it seemed. Something about unusually large brains compared to other creatures. It was even harder before the Servant of Birth was around to help the process and prevent stillborn infants. Before Finch could think further about dead children, someone came out of the room at the end of the hall on his left. It was a tall man with finger-length wavy blonde hair. He also wore a guard’s uniform that had a fancier looking ribbon on it than normal. This man was of a higher rank. “I’m looking for Chloe!” Finch said. “I’m Finch Dirge Zeth!” He replied. “What?” Finch followed after Vinth. Finch remembered the man’s name from the text he and Chloe had been reading, but right now he was more concerned about what the man had said. As they went down the hall, and back down the stairs, Finch thought about his future education. His father Ilias wasn’t particularly rich. In fact they were almost poor, but Ilias wanted a better life for his son, so he had been on the lookout for a personal tutor to pass the baton to for over a year now. He didn’t want to send his child to a simple public secondary school, but the time to make the switch was coming very soon and he was worried it would end up being his only option. At the landing of the steps, Vinth stopped at the door to the foyer. Finch noticed that there were more stairs leading further down. And then they stepped out into the loud foyer. Finch really didn’t like it here. Nervous about losing him, Finch grabbed at Vinth’s hand. The guard looked down at him for a second, and then grabbed back. Finch felt a little more confident as they walked across to the door that Finch had found locked the other day. Vinth opened it, and they entered. The room was filled with hard leather and metal armours on the left, as well as straight, single-edged swords on the right. They walked straight between the rows of arms and armament. Finch thought about Vinth. He must be the Vice-Captain to Natasha. “Do you know Natasha?” He asked. “Of course.” Vinth said, a little faster than normal. Well, that did seem important. Maybe he would get a chance to talk to her after the renovations were done. Vinth went right, passing the hanging row of swords, and then stopped at the wall between racks. Finch noticed beyond was another hall of equipment, but this barrier in between them was different. It had a door. “If you must,” The guard stated. Vinth unlocked the door with two separate keys, and then when they stepped in he locked it behind them. Finch looked down. There was a torch bracket in the wall, and the torch was lit. As they went down the stairs, Finch occupied his mind thinking of the torch. It seemed to him that once this bracket had held a much older type of torch, but right now there was a thin metal cone with a rope wick sticking out. Surely the cone was filled with some form of oil or fat. Finch turned his thoughts to Chloe. She had been a whole lot of fun yesterday, and Finch was sure she would make a great teacher. He wondered if she wanted to teach him out of boredom, or if she really liked him. Probably both. They finally reached flat ground, and turned right at a corner, and then another, and then another. They had made the most laborious left run Finch had ever taken. “To prevent any dropped torches or other hazards from affecting the books.” Vinth said as they passed underneath the staircase. And then Finch saw it: the library. It seemed to be a long room with openings on either side. Left or right, there were more halls lined with shelves. Each of these smaller hallways was labelled with a range of numbers that Finch realized were dates. The labels were in the same flowing script that had been on Chloe’s door. “They’re organized by year!” He said. Chloe peeked her head out of one of the furthest racks. She had an armful of books, and as she stepped out, Finch realized she was carrying a couple more in her large right hand. He also noticed she was wearing long sleeves today. “Oh, ah, hello there Finch.” She said. “I will return to my work now.” Vinth said, and then promptly exited. “Hi, I wondered if you might want to, um,” Finch suddenly felt a little out of place. “Ah, well, see, I made some plans to rearrange the library you know,” Chloe said. Finch was surprised that she wasn’t straining, carrying all those pages. “You’re going by century?” Finch asked. Chloe went back into her nook and put down her various volumes, then returned. “Not bad, eh!” She said. Finch looked at her, trying to show that he would be very interested in the idea. He had a very hard time though, as he was quite certain that there was no expression for this. He ended up doing a sort of restrained nod instead. The library was silent for a long time. Chloe and Finch stared at each other. “So, I could… teach you?” She said tentatively.